Missionary Update: Rev. Luke Rhyee, M.D. The Rev. Dr. Luke MoonTaeg Rhyee, M.D. is the creator, developer and director of Healing Guatemala in Quetzaltenango. As such he works with the poorest of the poor. However, that poverty does not hinder big dreams. Not on his part or the part of those he works with. The picture below is of Juanita. 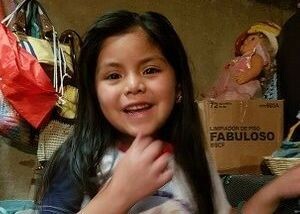 She is 7 years old and is the recipient of a scholarship from Healing Guatemala that enables her to be in school. 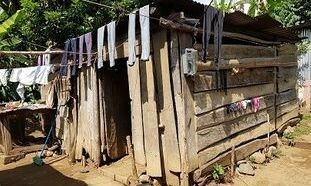 She lives with her mother and sister in a single room house with a dirt floor. Her mother earns 4 to 5 dollars a day when there is opportunity by doing laundry for neighbors. Their husband/father has abandoned them. Juanita is insistent that she wants to study, that she wants to grow up to become a teacher. She speaks confidently of the dreams that she will help grow in her future students. Luke has the good fortune to visit with the recipients of the scholarships in their home to help determine the best offers to make. From the last school year to the current year the number has grown significantly. In 2018 there were 25 scholarships offered. This year there are 66 in three different locations. Not only does Healing Guatemala help with direct scholarships to students, they support the schools in the area by offering a Bible class, an afterschool class, an English class, and a computer class. Another student, Josselin, who is very good at math says, “I want to be a medical doctor. I want to help the sick!” She is 11 years old. Dr. Luke says that, “Josselin studies in darkness in the evening, for her house does not have electricity. She lives with her mother, step father, and four siblings. I asked Josselin to work at Bethesda when she became a doctor. In Josselin’s big smile, I could see the hope of our Lord, in which He would make it happen. I am so thrilled to see how the Lord is going to achieve His big dreams through the future Dr. Josselin, the future teacher Juanita, and our other scholarship students. Bethesda is the medical clinic operated by Healing Guatemala in the city of Quetzaltenango. The main focus area of Healing Guatemala is in Quetzaltenango, which is located in the northwestern area of the country. According to the statistics of Guatemalan government, the population of the city is around 200,000, but Healing Guatemala will serve around a million people who live scattered around the city of Quetzaltenango. Majority of this people is Mayan indigenous people. Since they live in mountain area scattered, they do not have political power. They do not speak the governmental Spanish, but maintain several Mayan dialects. Dr. Luke is a missionary designated as a mission special of the Columbia District. To support this missionary and this ministry, make funds payable to: Healing Guatemala, P.O. Box 1835, Duluth, GA 30096. To discover more of his work, go to: www.healingguatemala.org or find Healing Guatemala on facebook. Sara Flores works in and through the Methodist Conference in Ecuador. She partners with the 14 Methodist churches in the Sierra District, the 8 churches in the Costa District and 8 mission sites in the Amazonica Region. She also partners with UMVIM teams coming mostly from the U.S. establishing connections between the teams and local congregations. There are days that are longer than others in Ecuador. Actually, that is not true. Each day at the equator is 12 hours of day light and 12 hours of dark. The sun rises just about 6:00 am and sets just about 6:00 pm every day. However, some days find Sara riding a public transportation bus for 4 hours south from the capitol city of Quito into the Amazon Rainforest region of Ecuador. After the meeting, conference, teaching event or day of manual labor, climb back on the bus to travel home. Some days seem longer in Ecuador. Sara travels to that region to help build the Methodist Connection between the mission sites and to help them grow from mission to ministry sites to Local congregations. In that region there are typically temperatures in the lower 90’swith stifling humidity causing the air to be thick and heavy. It can and does rains as much as 170 inches a year. Some days she travels into the northern part of the country, into the mountains where the elevation can reach over 10,000 feet above sea level. The temperatures rarely reach themed 70’s at any given time of the year and often reach freezing overnight. The locals say that in Ecuador they have every season every day. Sara’s work is varied and far flung. She has to think about where she is headed and what the means about how to dress. The temperature is a factor, the type of work is a factor … will she be helping a nurse in a local church clinic, or helping a pastor paint a series of classrooms, will she be teaching professional church works or elementary students. Or will she be helping to build a budget for a school. Any and all of these are possibilities. Some days she stays in Quito and works in her office in the Conference offices of the Iglesia Evangelica Metodista Unidadel Ecuadro planning her next move. Beginning with our spring break until the end of the summer she will coordinate, host , and several short term mission teams that come to cover the country. One of those projects is a school in the town of Pastocalle about 40 minutes south of the capitol. 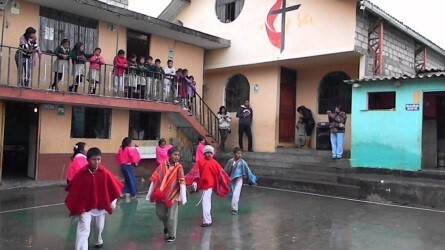 The school (El Sombrador Escolar) has been a cooperative of the government and church, teaching younger grades. However a recent ruling requires that all schools teach through High School to receive government support. To meet this requirement Sara has been helping U. S. teams as they attempt to build a new grade level classrooms each year. Among those are at least two teams from the Columbia District. Pictured are views of the school grounds and Sara with several students. Sara is a United Methodist Missionary, sent on our behalf by the General Board of Global Ministries, to help to establish the Methodist ethos of ‘abundant grace’ in Ecuador. The Columbia District through the District Connectional Ministries has established a covenant relationship with Sara. If you would like to join in supporting Sara you may do so by making contributions to the SC UM Conference Treasurers Office. Mark your contribution as “CO MISSIONARY”.